CHECHESMITHNATION : Double Denim Styling Via Bonang! 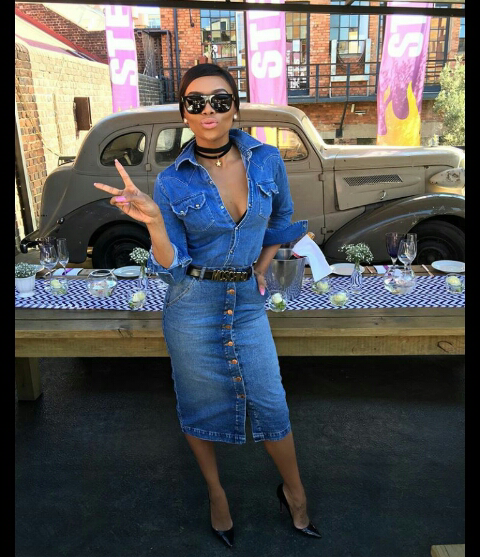 Bonang Matheba rocks out in double denim get-up featuring a deeply plunging shirt, worn with buttoned down skirt. 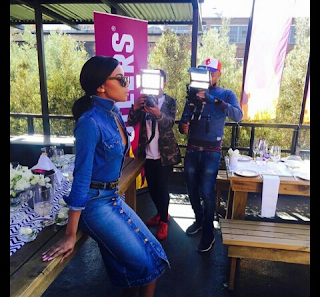 The media chic, paired her look up with a black cute pumps and cool dark shades to go.